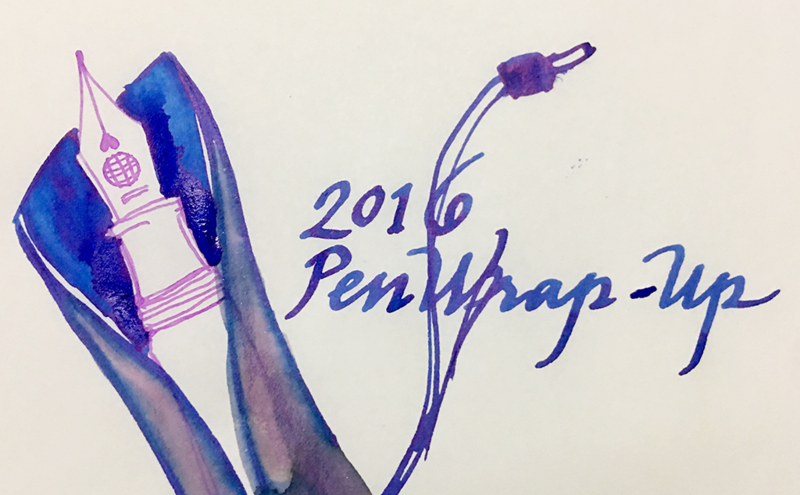 My 2016 PenWrap-Up (see what I did there?) – Leigh Reyes. My Life As a Verb. THOUSANDS OF VENOMOUS BATWINGED HAIRY SPIDERS BLAST OUT OF THE SECTION AND SURROUND YOUR HELPLESS SCREAMING HEAD IN A CHITTERING CLOUD OF BULLETPROOF EVIL. That, in a rubber sac, was 2016. However improbable, however, there were highlights. 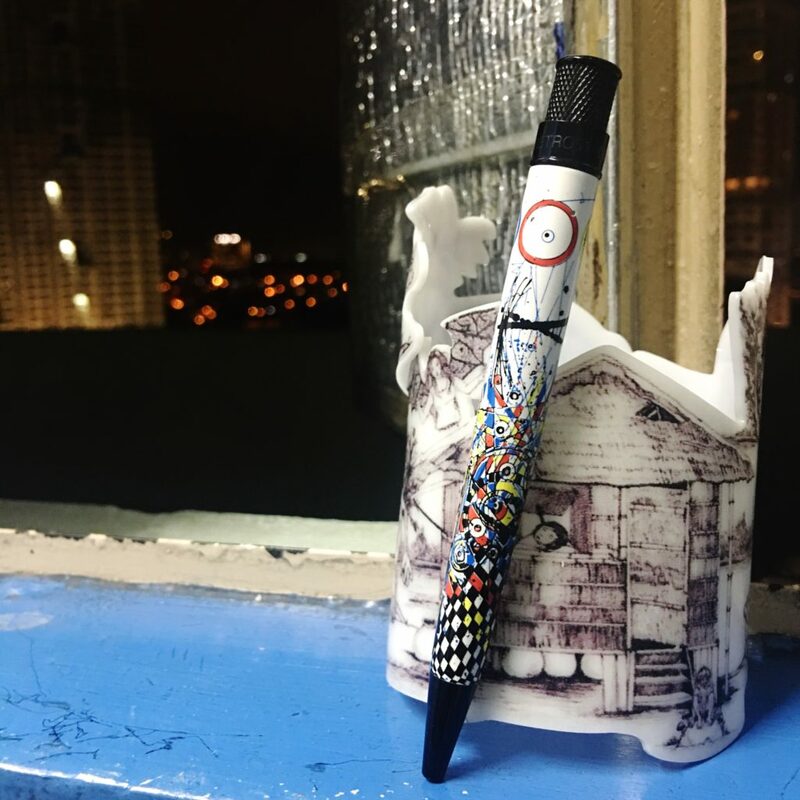 2016 also saw usernames and hashtags with pen-related wordplay flooding Instagram, helping one #penaddict find others and keeping #fpgeeks connected. 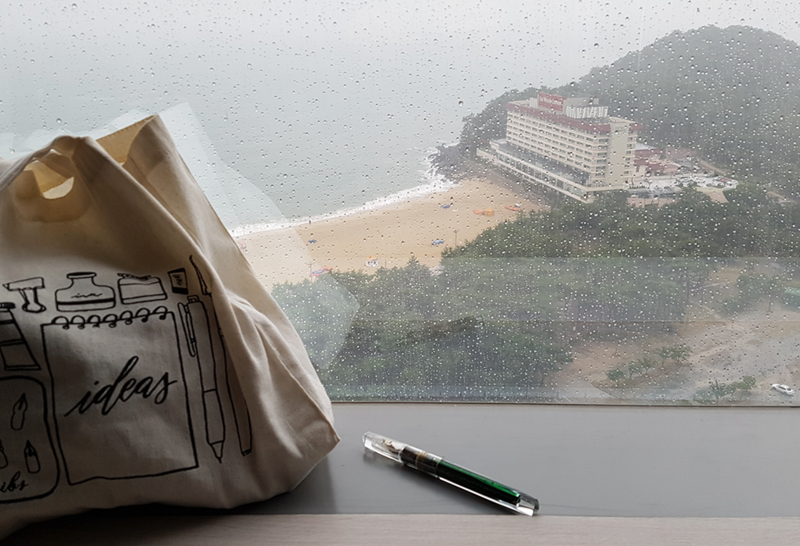 #fountainpen and its plural sibling are at around 400-500,000 mentions, as are #stationeryaddict, #journaling and #travelersnotebook. While less than a thousand, #inkstainedhands beat #inkstainedfingers, hands down. Brands need to scramble for the rest of the week in 2017, because #mondaymatchupgiveaway, #thINKthursday and #inkitupfriday are already taken. 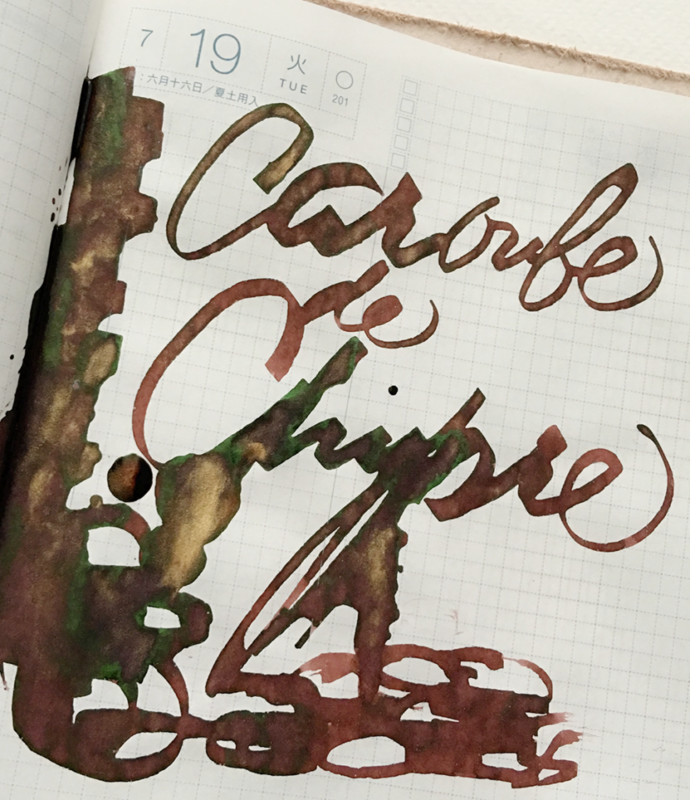 Shimmer and sheen extended their rule in 2016, with J. Herbin releasing the unpronounceable Caroube de Chypre, and Diamine the 12-part Shimmertastic sequel. Robert Oster Signature Inks paired electric shades with high-contrast sheen and won over many hearts and filling systems. 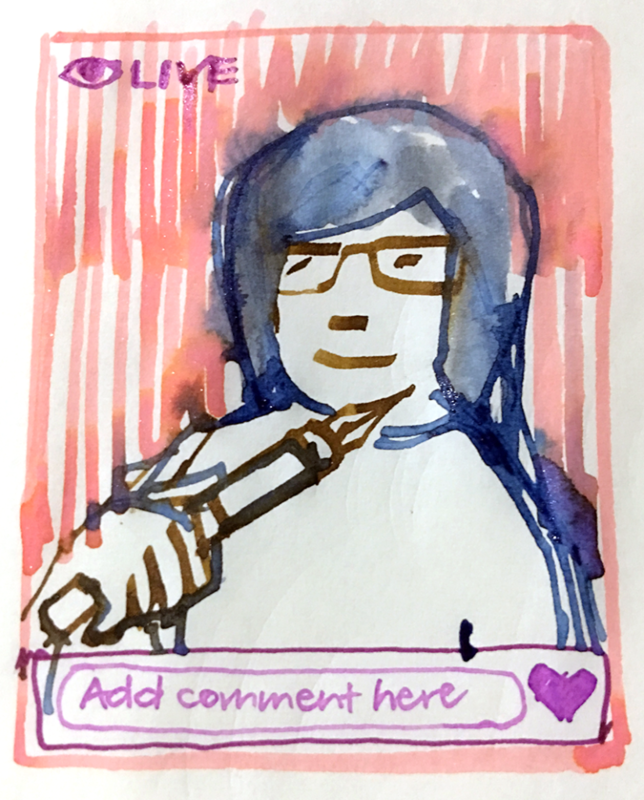 Lamy came out of left field with its limited edition Dark Lilac, triggering hoarding instincts across pen communities. Lamy x LineFriends released “Brown in Red”. Joey Feldman and Vanness 1938 teamed up on a special art edition for Retro 51. 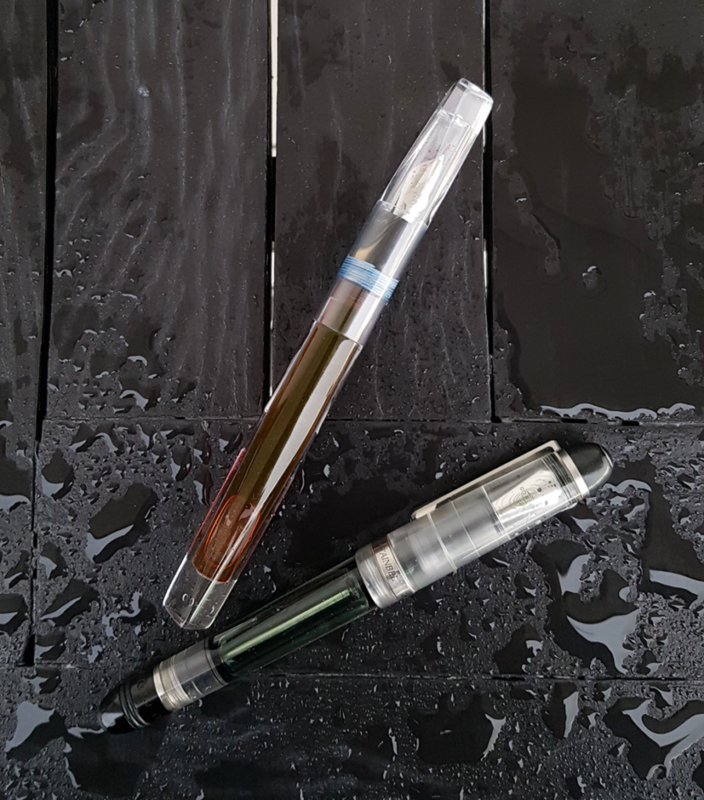 Franklin-Christoph and the Pen Addict released a grey and orange Model 02 exclusive. Dudek Modern Goods sold out of the Morse. Now we need ink, guys. 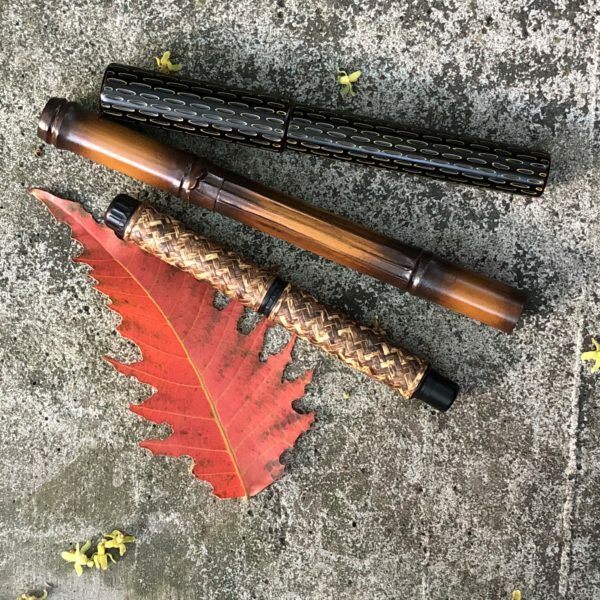 Pen people queued for stalwarts Shawn Newton (Newton Pens) and Renee Meeks (Scriptorium Pens) in 2016. Shawn released new models like the Prospector, Breaker, and Vapor, adding to his already-famed Shinobi. Renee’s simple, elegant shapes in vibrant materials emerged from her lathe, rising from mountains of swarf. Other makers attracted followings. Among those that came to my attention were Jonathon Brooks, Carl Fisher (Fisher of Pens), and Tim Cullen’s Hooligan Pen Company. 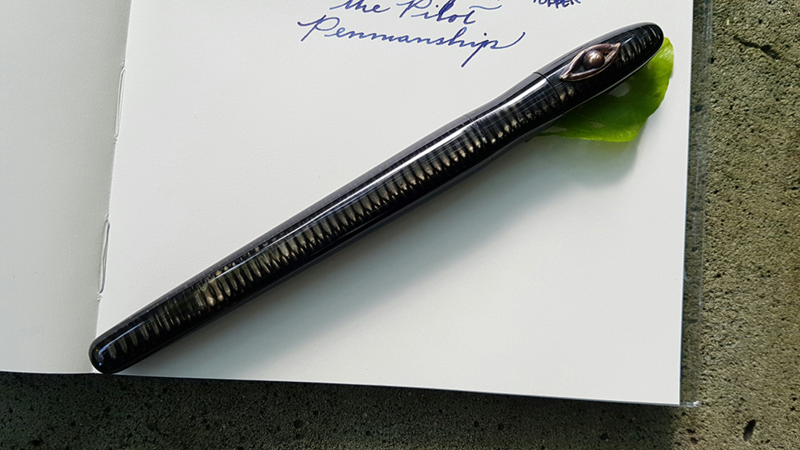 I asked Carl to make a pen in vintage celluloid that approximated the shape of the Pilot Penmanship pen, with an added bronze stopper. 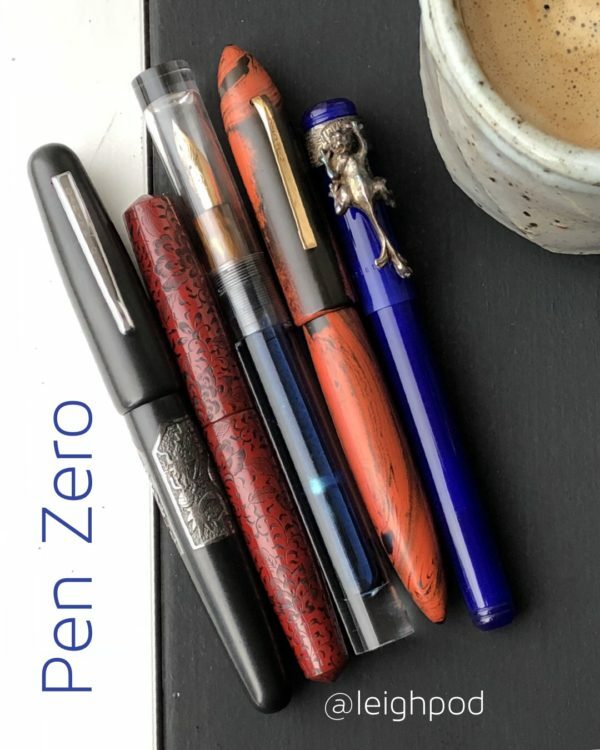 In my opinion, Yoshi Nakama of 18111 Pens is one of the most innovative pen makers today. He utilizes laser engraving and 3D printing, among other techniques. 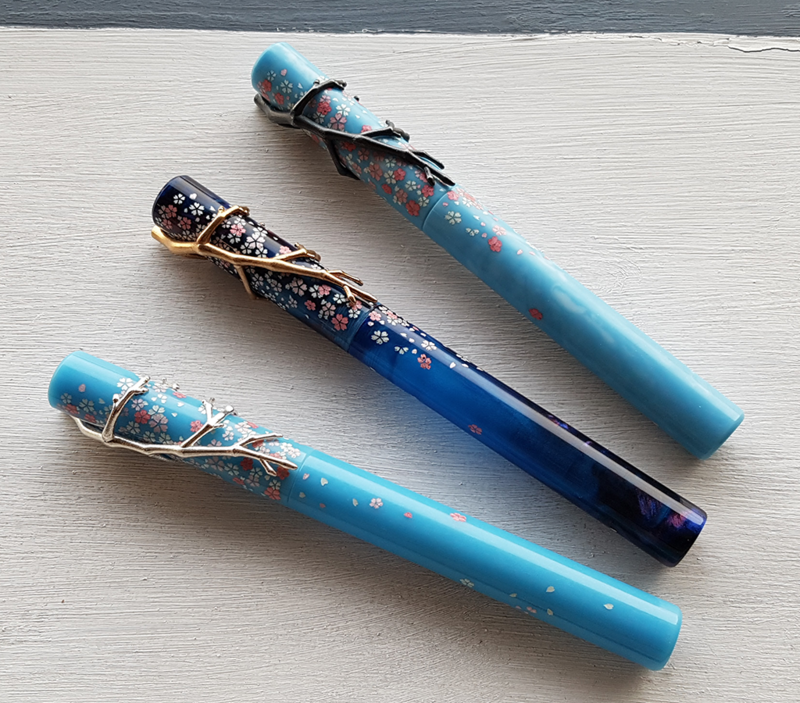 Based on my design, he created a suite of pens called Memory of Spring, cast alumilite resin with laser-engraved and resin-filled sakura blossoms and 3D branch stoppers. 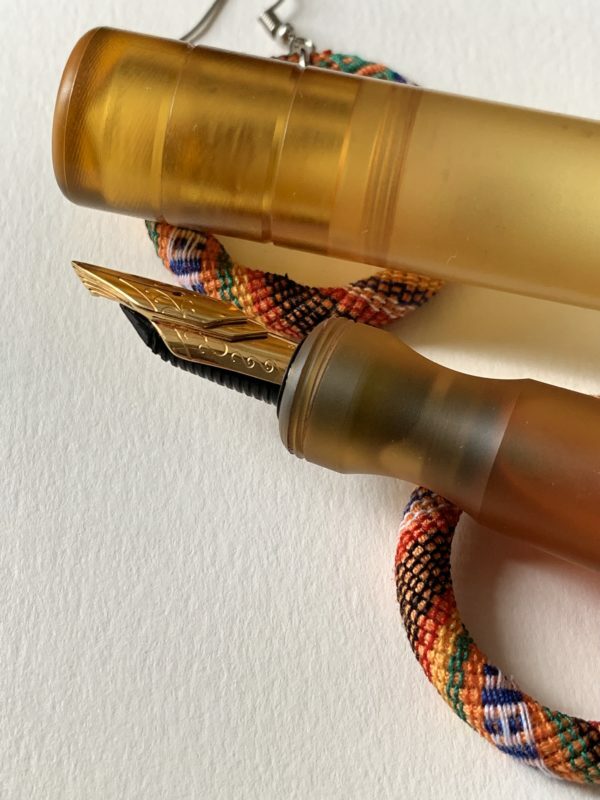 I need to make special mention of the Kanilea Pen Company, which is quite possibly most comprehensive and impactful branding exercise I’ve seen for a brand new pen line. Kanilea pays attention to detail, down to the use of seed paper for packaging. Omas bid us farewell and left us clutching our Bronze Arcos in despair. 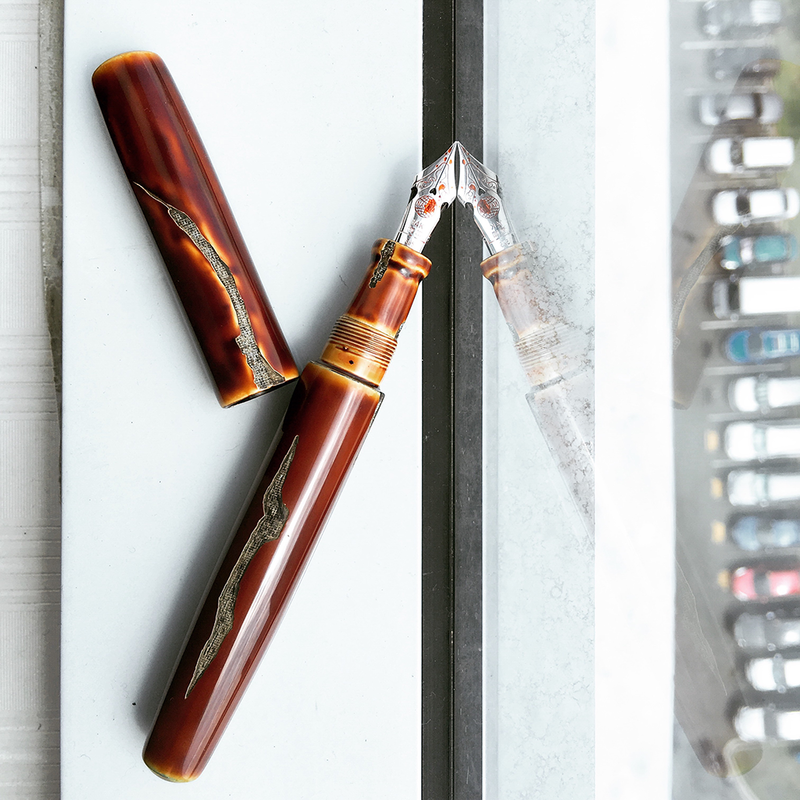 Dante del Vecchio announced he was parting ways with Visconti, the company he founded. 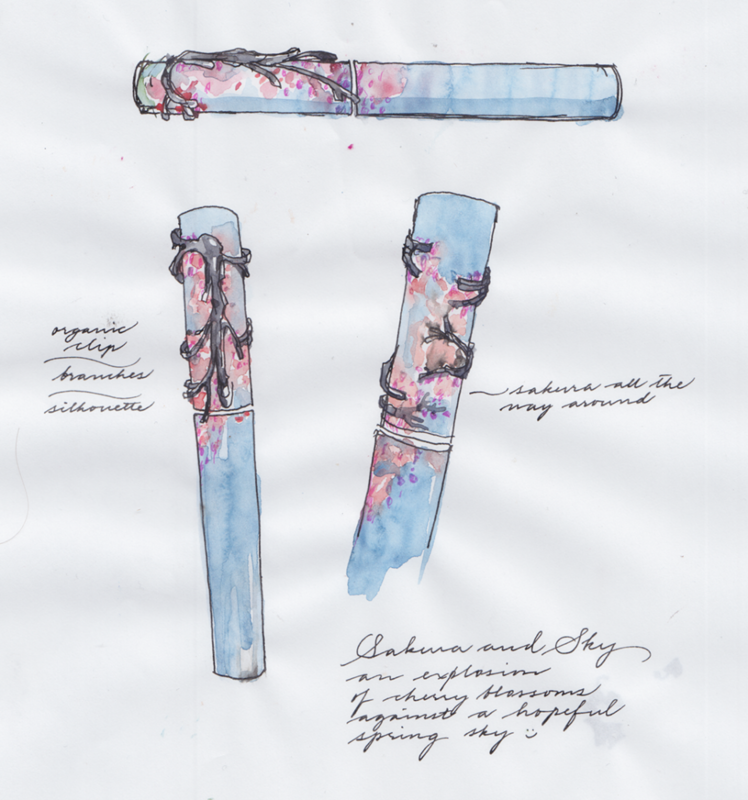 Early in the year, Nakaya discontinued the Dorsal Fin II and the shiro tamenuri finish. Go ahead, just search for “pen video”. 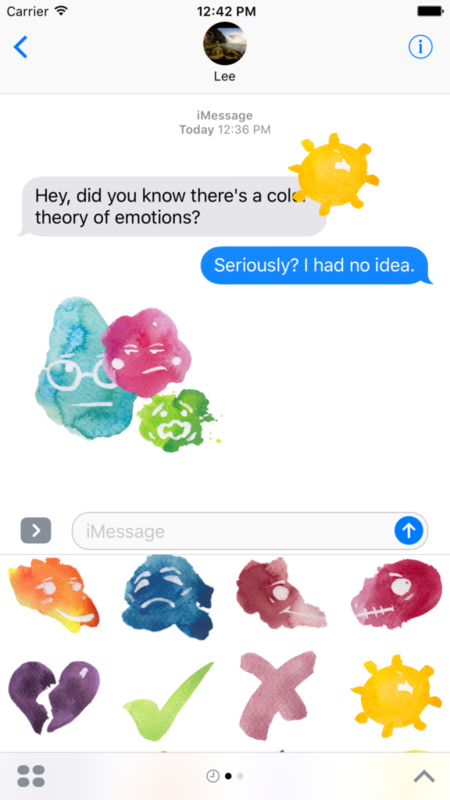 iOS 10 didn’t exactly rock the world, but iMessage sticker packs certainly made me happier, and that can’t be a bad thing. 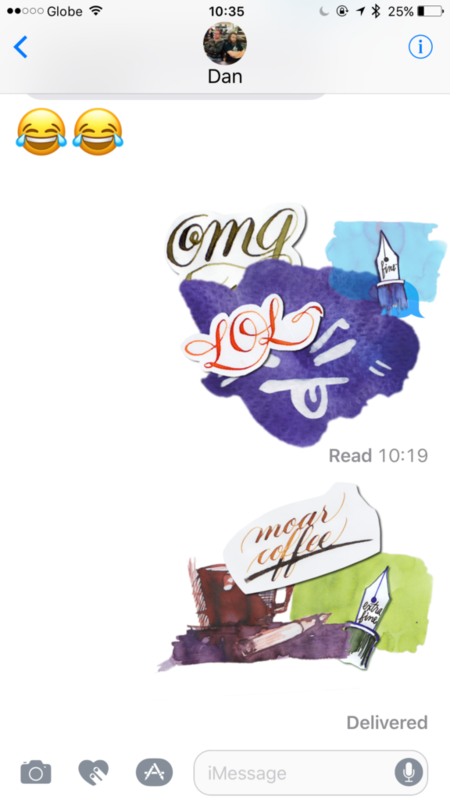 Thanks to video tutorials, and a little trial and error with the App Store uploading and approval process, I now have two sticker packs for download: Feelblots and Extrafiner. Feelblots is ink blots with expressions. 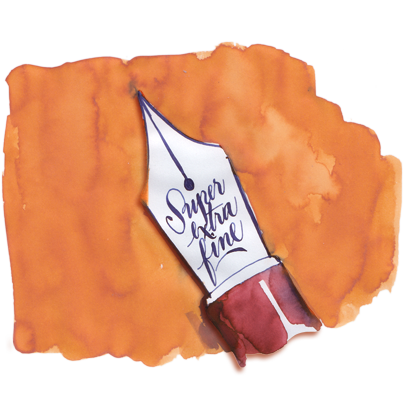 Extrafiner is fountain pen and handwriting elements, created with varying levels of transparency for more expressive layering, and made with 100% fountain pen ink and fountain pens. I promise to update both soon with new stickers. Because I love making them. There are problems in the world, and they are mighty, and fearsome, and intractable. 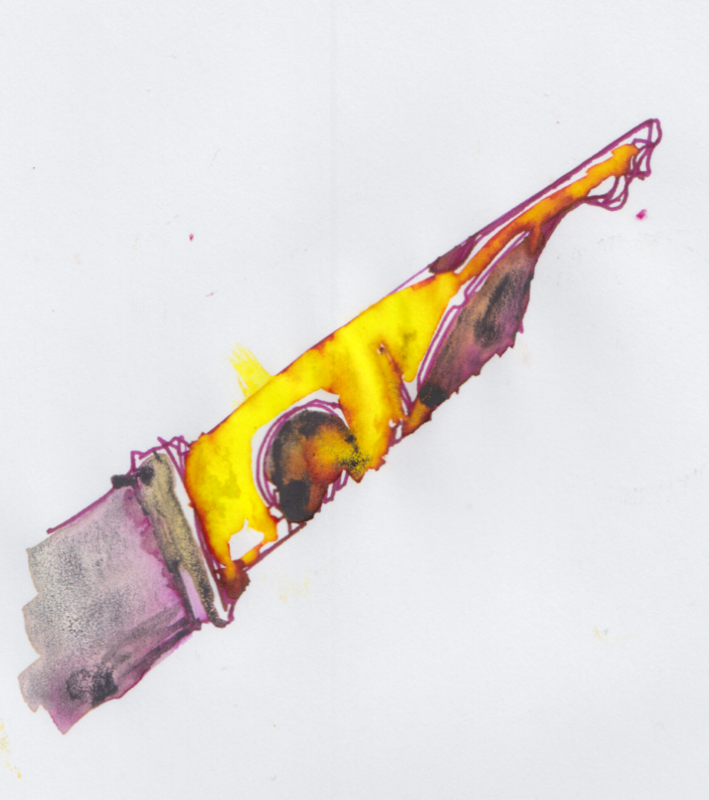 Pens and ink might be a distraction – or they might be a way of taking a deep breath, before emerging calmer and better armed to fight and persevere. I wish, for all of you, steadfastness, resolve, and optimism in 2017.